Many people get worried when they think about organizing their garages. The fact is that it is difficult to know where to start. Organizing your garage is important to protect your investment in your home, as well as making your daily life more productive and less stressful. 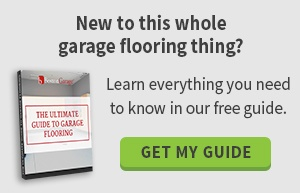 This guide helps you to better understand what your garage is for, decide what to put in your garage and create a plan that will work for you long-term. If you are embarrassed to admit that you do not have room to keep your car in your garage, feel shameful no more. Current estimates show that only about 30 percent of people have space to put their cars in the garage. You know to lock your car each night to prevent a break-in or theft. You should take the same care for all the possessions you store in your garage. The items you put in the garage for months on end comprise a large-enough percentage of your home investment to be worthy of protection from theft, weather and pests. Of course, this does not mean that everything you keep in the garage belongs there. Chances are that there are a lot of things you have stuffed in the garage in a frantic attempt to clean the house before company came over. You would have a cleaner garage and a more-organized life if you found better spots for them inside the house. On top of random clutter, there are things people often keep in the garage that simple should not go there, because they require ventilation or a controlled temperature. Good examples include paint cans, propane tanks and pet food. While you imagine how much better your garage can look, you have a few things to remember. What works for your neighbor’s garage may not function well in your home. You should take the time to carefully plan out all your ideas for your garage before you start to put them into action. This is an ideal time to contact a professional to help you create a garage organization plan that will solve all your garage storage problems. Before you can get your garage under control, you must have a firm understanding of the garage’s role in your home, and how you intend to use it throughout the year. Your garage, as the space where you store a significant amount of your stuff, deserves quality organization and storage. Once you determine your garage storage needs, and remove anything that does not belong, contact Boston Garage for a free on-site design consultation. This will assist you with garage organization that will work for you and your home.